Sammy Hagar says he “on a campaign” to get his old group Montrose into the Rock And Roll Hall Of Fame. The Red Rocker has already been inducted thanks to his involvement with Van Halen, but he says it’s about time Montrose had their moment in the spotlight because of the influence of their self-titled 1973 album. 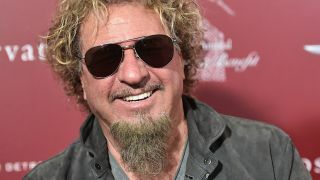 Hagar tells WKYC (via Blabbermouth): “I’m on a campaign now to get that band on the ballot somehow. “Because without Montrose, there would be no Van Halen, there wouldn't have been Motley Crue, there wouldn't have been Def Leppard. Hagar also reflects on his 2007 induction with Van Halen and says it “was cool” but it could have been even better. He adds: “It just would have been great if the rest of the Van Halen gang had come. David Lee Roth and I would have both participated and done a song each and all that. The nominations for the class of 2019 was revealed earlier this month, with Def Leppard, Todd Rundgren, Stevie Nicks, Radiohead, Rage Against The Machine, The Cure, Roxy Music, Devo, Kraftwerk, the Zombies, MC5, John Prine, Rufus featuring Chaka Khan, LL Cool J and Janet Jackson all up for induction next year.